What is the Sheila Essey Award? The Sheila Essey Award for ALS Research is given to acknowledge and honor an individual who is making significant contributions in research. The award recognizes seminal research breakthroughs in the search for the cause, prevention of and cure for ALS. Past recipients have used the funds to continue ALS research or to support promising young scientists on their research teams. Since 1996, The ALS Association and the American Academy of Neurology have jointly chosen recipients of the award. The award is made possible through the generosity of the Essey Family Fund through The ALS Association Golden West Chapter, in memory of Sheila Essey, who battled ALS for ten years and died from the disease in 2004. Richard Essey, Sheila’s husband, served as a National Trustee of The ALS Association and is one of the founders of the Greater Bay Area Chapter, now the Golden West Chapter. 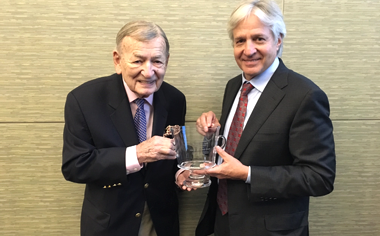 ALS Association and The AAN are deeply grateful for the unwavering commitment of Richard Essey in continuing to support this important honor. Winners of the prestigious Sheila Essey Award have made significant contributions to all avenues of ALS research. Discovered numerous genes responsible for causing familial ALS including C9orf72, VCP, MATR3, FUS, TDP43 and SOD1, among many others. Contributed to the first successful FDA approved drug riluzole. Identified major environmental and genetic risk factors for ALS. Developed ALS animal models that are key in understanding ALS disease. Discovered ALS biomarkers that can potentially help understand ALS disease progression and aid in ALS diagnosis. Made major contributions to induced pluripotent stem cell (iPSC) technology and their use in clinical trials. Founded and/or led important ALS institutions such as the NEALS Clinical Trials Network and the American Academy of Neurology, among others. Lead ALS clinics around the globe. Uncovered important ALS disease mechanisms such as oxidative stress, neuroinflammation, excitotoxicity and glial dysfunction, among others. Pioneered the use of antisense DNA oligonucleotides (ASOs) as a therapy for human neurodegenerative disease for the two most common genetic causes of ALS – C9orf72 and SOD1. Timothy Miller, M.D., Ph.D., the David Clayson Professor of Neurology at Washington School of Medicine in St. Louis. Read more here. John Ravits, M.D., Professor of Neurosciences and Director of ALS Programs at the University of California at San Diego. Read more. Revealed the pattern of ALS disease spread through the spinal cord and brain, which led to the seminal observation that disease spreading is consistent with transfer from cell to cell within the nervous system. Helped pioneer antisense oligonucleotide therapy for the most common genetic form of ALS, C9orf72. Principle investigator on many ALS clinical trials and is the Director of the ALS Clinic at the University of California San Diego Health System, an ALS Association Certified Center of Excellence. Ammar Al-Chalabi, Ph.D., FRCP, DipStat, Professor of Neurology and Complex Disease Genetics at King’s College, London and Director of King’s MND Care and Research Center. Read more. Helped identify many known genetic causes of ALS, including C9orf72 and developed the ALSoD database an important tool for researchers funded by The ALS Association, MNDA UK and Therapy Alliance. Has made significant contributions to understanding disease staging, which may impact ALS care and clinical trial design. Robert Bowser, Ph.D., Director of the ALS and Neuromuscular Center at Barrow Neurological Institute in Phoenix and President of Iron Horse Diagnostics, Inc. Read more. Discovered a protein biomarker signature that distinguishes ALS patients from non-ALS patients that will help understand ALS disease progression and aid in ALS diagnosis. Co-founder of Knopp Biosciences and Iron Horse Diagnostics, start-up companies that are focused on therapy development for ALS. Adriano Chio, M.D., F.A.A.N., Professor of Neurology, Medical and Scientific Director, Dept. of Neuroscience, University of Turin, Torino, Italy. Read more. Established the Piedmont ALS registry to document many genetic and environmental risks, progression and survival rates of people living with ALS. First to describe the increased risk of ALS among Italian soccer players and the potential risk that physical activity and traumas play in a person’s risk of the disease. Jeremy Shefner, M.D., Ph.D., Chair of the Department of Neurology, Professor of Neurology, and Associate Director of Barrow Neurological Institute in Phoenix. Read more. Developed an ALS biomarker to track ALS disease progression, called motor unit number estimate (MUNE) that is used in several ALS clinical trials. Co-founded the Northeast ALS Clinical Trials Consortium (NEALS) along with Merit Cudkowicz, M.D., M.Sc. to coordinate ALS clinical trial centers in northeastern US. Principle investigator of numerous clinical trials, including Cytokinetics Vitality ALS phase III trial and the Tocilizumab phase II trial. Rosa Rademakers, Ph.D., Associate Professor of Neuroscience, College of Medicine, Mayo Clinic, Jacksonville, Fla. Read more. She and her team co-discovered the C9orf72 mutation, the most common genetic cause in ALS from her study of a multigenerational family in North America. 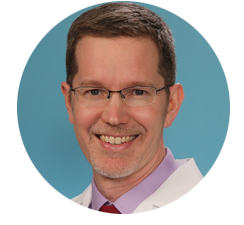 Bryan Traynor, M.D., Ph.D., Neurologist, Chief of the Neuromuscular Diseases Research Unit at the Laboratory of Neurogenetics, National Institute of Aging (NIA), Baltimore, MD. Read more. He and his team co-discovered the C9orf72 mutation, the most common genetic cause in ALS from his study of a Finnish population. Discovery of mutations in the VCP and MATR3 genes as a cause of familial ALS. His laboratory conducted the first genome-wide association study of ALS. Christopher Shaw, MBChB, M.D., FRACP, Professor, Dpt. of Basic and Clinical Neuroscience, King’s College, London. Read more. He and his team discovered the TDP43 and FUS mutations as familial causes of ALS. Leonard van den Berg, M.D., Ph.D., Professor of Neurology, University Medical Center, Utrecht, Netherlands. Read more. Focus area: ALS risk factors, clinical trial design. Completed population based studies showing smoking as a risk factor for ALS and that moderate alcohol consumption might be protective. Clive Svendsen, Ph.D., Director of the Cedars-Sinai Regenerative Medicine Institute at Cedars-Sinai Medical Center in Los Angeles. Read more. Harnessed induced pluripotent stem cell (iPSC) technology using adult skin cells from people living with ALS and reprogramming them to generate neuronal cell types, including motor neurons. Helped develop surgical techniques currently used in stem cell trials, such as NeuralStem. Generated good manufacturing procedures (GMP) and a clinical grade bank of human cells producing GDNF (growth factor) and preparing for an IND for a stem cell clinical trial. Orla Hardiman, Ph.D., Professor of Neurology, Trinity College Institute of Neuroscience, Dublin, Ireland. Read more. Developed the longest running population based register in ALS in the world. Published a study showing that the frequency of ALS is not uniform across the world. Identified a series of novel mutations in the gene angiogenin linked to some cases of ALS. Showed that cognitive impairment in ALS occurs in about 40% of patients and occurs early in the disease. Merit Cudkowicz, M.D., MSc., Professor of Neurology, Harvard Medical School, Director of Massachusetts General Hospital (MGH) MDA ALS Clinic, Chief, Neurology Service. Read more. Focus area: Clinical trial design and management. Investigator in numerous ALS clinical trials, including Phase II trial Ezogabine, BrainGate2, Discovery Biomarker trial, among others. Wim Robberecht, M.D., Chairman of the Department of Neurology, University Hospital Gasthuisberg, University of Leuven, Leuven, Belgium. Read more. Genetic screening of zebrafish and fly models to discover disease-modifying genetic factors, such as the involvement of heat shock proteins and vascular endothelial growth factor (VEGF) in ALS. Established the role of excitotoxicity and calcium metabolism in motor neuron death in ALS. Christopher Henderson, Ph.D., Professor, Columbia University Medical Center, Co-director, Motor Neuron Center, Director, Columbia Stem Cell Initiative, New York, NY. Read more. One of the pioneers to discover helper molecules, called trophic factors that support the growth and health of motor neurons. Contributed to important work describing the role of nitric oxide in programmed cell death. Vice President of Neurology at Biogen. Peter Carmeliet, M.D., Ph.D., Professor of Medicine in the Center of Transgene Technology and Gene Therapy at the University of Leuven, Leuven, Belgium. Discovered the role of vascular endothelial growth factor (VEGF) in motor neuron disease. Michael Strong, M.D., FRCPC, Dean of the Schulich School of Medicine and Dentistry, Professor and the Arthur J. Hudson Chair in ALS Research at Western University in Ontario, Canada. Chief of Neurology and Co-chair of the Department of Clinical Neurological Sciences at the London Health Sciences Centre and Western University. His research has led to an understanding of the mechanisms by which intracellular deposits of protein (composed primarily of neurofilament) are formed and how these aggregates contribute to the disease process of ALS. His studies are central to identifying the frontotemporal syndromes of ALS and demonstrated that cognitive changes in ALS are associated with alterations in the metabolism of tau protein. P. Nigel Leigh, M.B.B.S., Ph.D., F.R.C.P., FMedSCI, Professor of Neurology, University of Sussex, Sussex, UK. Professor Emeritus, King’s College London. Established a research program in Motor Neuron Disease at King’s College London and the King’s MND Care and Research Center was the first center in the UK funded by the MNDA and is a model for multi-disciplinary care worldwide. Has made significant contributions to imaging techniques for ALS. Contributed to the development of riluzole, the only FDA approved drug to treat ALS. Stanley Appel, M.D., Peggy and Gary Edwards Distinguished Chair in ALS Research, Professor of Neurology Institute for Academic Medicine, Houston Methodist. Director of ALS/MDA Clinic at Methodist Neurological Institute, Houston, TX. Dr. Appel’s laboratory was first to develop an immune-mediated preclinical model of motor neuron disease and then to document the presence of neuroinflammatory markers in both the preclinical model and human sporadic ALS. Dr. Appel’s preclinical studies have also documented enhanced neuroinflammation and activated microglia prior to evidence of clinical disease and motor neuron cell death. His laboratory has also demonstrated the presence of increased intracellular calcium and altered mitochondria in human sporadic ALS motor neuron to help explain the selective vulnerability of motor neurons in ALS. Serge Przedborski, M.D., Ph.D., Professor of Neurology and Pathology, Columbia University, New York, NY. He pioneered the investigations of motor neuron death in the super oxide dismutase (SOD1) model of ALS. He demonstrated the importance of the cascade of deleterious events such as oxidative stress, inflammation and programmed cell death as related to the health of motor neurons in the spinal cord in ALS. Dame Pamela Shaw, M.B.B.S., M.D., F.R.C.P., Professor, Department of Neuroscience, University of Sheffield, Sheffield, UK. Director, Sheffield Institute of Translational Neuroscience (SITraN) leading a multidisciplinary team for drug discovery and care. Understanding the cellular pathways of motor neuron injury in the presence of mutant SOD1. Made significant contributions to our understanding of the role of neurofilaments in disease. He made important contributions to knowledge on ALS pathogenesis caused by superoxide dismutase (SOD1) mutations. Developed several novel mouse models and exploited these to test therapeutics for ALS. 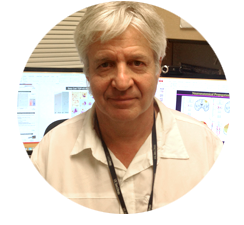 Don Cleveland, Ph.D., Departmental Chair of Cellular and Molecular Medicine, Professor of Medicine, Neurosciences and Cellular and Molecular Medicine, Ludwig Institute for Cancer Research, University of California San Diego, San Diego, CA. Cleveland and his group identified the protein tau. Their efforts have identified key steps that trigger disease and that accelerate progression of ALS. Their team was one of the first to establish the role of non-neuronal cells including astrocytes and oligodendrocytes in ALS disease and promoted that idea that disease is not cell autonomous. Cleveland’s team pioneered the use of antisense DNA oligonucleotides (ASOs) as a therapy for human neurodegenerative disease. Their gene silencing therapy for ALS entered clinical trial in 2010 for SOD1. An updated phase I/II clinical trial testing SOD1 ASOs started in January 2016. He is currently working on the development of ASOs for C9orf72, which is slated for clinical trials in early 2017. President of the American Academy of Neurology (AAN) 1989-1991, Chairman of the Continuing Educational Committee of the AAN and founding director of AAN’s premier continuing medical education journal Continuum: Lifelong Learning in Neurology. Chairman of the World Federation of Neurology (WFN) ALS Research Group that published important international diagnostic guidelines. Pioneer of many outcome measures that are still in use in clinical trials today. Chair of Neurology at Columbia for 25 years and earlier, he served as Chair at the University of Pennsylvania. Past President of the American Academy of Neurology, the American Neurological Association, and the Association of Professors of Neurology. Jeffrey Rothstein, M.D., Ph.D., Professor of Neurology, Department of Neuroscience, Johns Hopkins School of Medicine, Baltimore, MD. His work on glutamate transporters and astroglial dysfunction was the first evidence that glial dysfunction could contribute to and accelerate neurodegenerative disease. Dr. Rothstein's Hopkins laboratory has been responsible for many ALS therapeutic candidates including small molecules, gene therapies, and more recently cellular based therapeutics. Robert Brown, Jr., M.D., Ph.D., Chair and Professor of the Department of Neurology, University of Massachusetts Medical School, Worcester, MA. He and his collaborators discovered the first ALS gene, superoxide dismutase (SOD1) in 1993, which led to the creation of mouse model of ALS in 1994. He played a central role in the discovery of other mutations or genetic variants in several ALS-related genes including alsin, dynactin, KIFAP3 and FUS/TLS. He reported evidence suggesting that the SOD1 gene also plays a part in the more common, sporadic forms of the disease. Teepu Siddique, M.D., Les Turner ALS Foundation/Herbert C. Wenske Foundation Professor, Professor in Neurology - Ken and Ruth Davee Department and Cell and Molecular Biology, Northwestern University Feinberg School of Medicine, Chicago. Initiated the molecular genetic approach to ALS in 1984 which lead to the successful identification of many genetic causes for ALS including SOD1, ALSIN, PON, FUS, TDP-43, SQSTM1 and UBQLN2. He and his colleagues identified a common pathology for all of ALS involving ubiquilin2 and SQSTM1. He engineered several models for ALS including the first genetic model for neurodegeneration, SOD1.